Paid Internships With Intel Corp.
Intel, founded in 1968, is a world leader in the development of technologies, products, and company initiatives that make advancements in the way people work and live. In 1971 Intel produced the very first microprocessor and they haven’t looked back since. Intel’s mission states that “this decade [they] will create and extend computing technology to connect and enrich the lives of every person on earth”. Intel offers one of the most challenging learning environments that one can find in an internship. Through an internship at Intel, students are able to take their academic learning to the next level. Although computer basics can be taught in the classroom, it takes the real-world experience to bring those basics to life. At Intel, students are assigned projects that permit them to utilize their current level of knowledge and skills and bring them to the next level. Intel is a company that welcomes bright, talented students to work on projects alongside experienced professionals in the field. At Intel, you certainly don’t have to worry about spending your day just filing and making coffee. Summer internships can be found with Intel at many major cities across the country, including​ Chandler, AZ; Hillsboro, OR; Columbia, SC; and Folsom, CA; Santa Clara, CA; DuPont, WA; Austin, TX; Fort Collins, CO; Hudson, MA; and Rio Rancho, NM as well as various countries around the world. Intel gives consideration to interns for full-time employment after graduation. Qualified interns can use Intel’s job search tool to find current opportunities in engineering, science, or business. Once a candidate has found a suitable internship, they can then go ahead and click on “Apply for Job”. Applicants can register as a “New Candidate” or login as a “Returning User”. Applicants are then allowed to upload their resume to Intel’s database and then answer several questions about their background and interest. In the objective of the resume, candidates must indicate their interest in an “Internship”. Applications are accepted year-round. 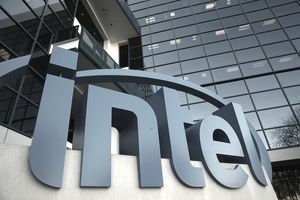 Applicants who meet Intel’s minimum education and experience qualifications will be contacted by the company via email. Get an Internship With the NBA Orlando Magic!